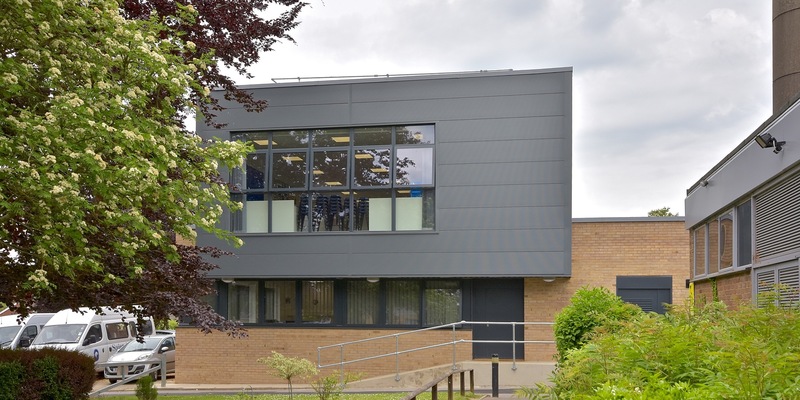 O’LearyGoss Architects’ new Design Technology building at St Joseph’s Catholic School, Laverstock, near Salisbury was formally opened on Wednesday 16th May 2018 by the Bishop of Clifton. The new building provides design technology and food technology rooms, as well as two IT suites. These facilities will be used to support the enhanced curriculum offered by the school from the beginning of the academic year in Autumn 2018. The building is the first phase of a comprehensive DT and classroom building.